To rebuild the middle-class, government must protect the right of working people to form unions and bargain collectively, free from employer coercion and job threats. Unions grow during tumultuous eras when many social movements are shaking the country to its core. The union upsurge in the 1930s rose side by side with thousands of unemployment councils, tenant organizations, and popular campaigns that attacked the disparities of wealth and poverty. These movements had many leaders and heroes, known and unknown. Among those we know: Louisiana populist Huey Long, until his assassination in 1935, led a national movement to redistribute wealth from the rich to the poor. In California, Upton Sinclair helped build a mass movement that demanded and nearly won stipends for every California citizen over the age of 50. And FDR followed this fervor with his own New Deal policies, which had been advocated by overlapping mass movements for years, including bargaining rights for unions and a plethora of programs to support working people like Social Security. This was the context for the massive growth of unions through the CIO. 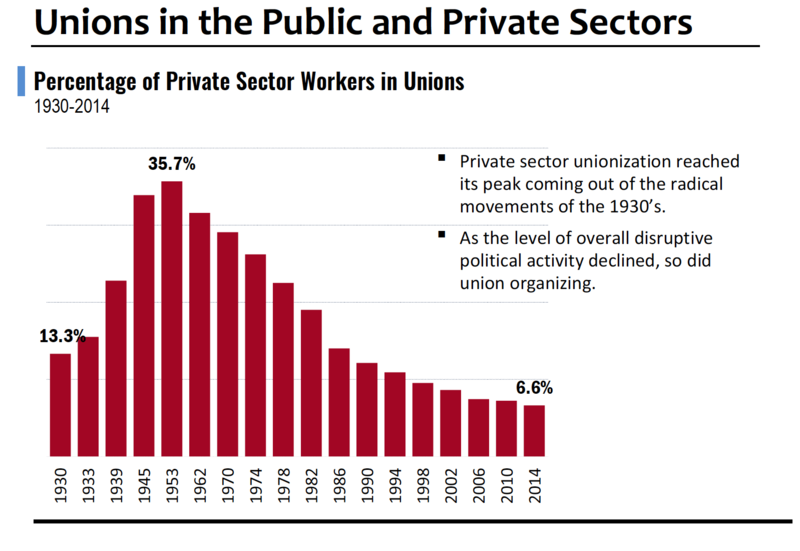 Unions (public unions, in this case) also grew rapidly during another era of mass upheaval – the tumultuous 1960s and 1970s. Again, this was a time when movement after movement shook the established ways. The anti-war, women’s and civil rights movements provided enormous energy that helped fuel the rapid rise of public employee unions. It’s going to take another mass social movement to revive unions and tame runaway inequality. Leopold, Les. 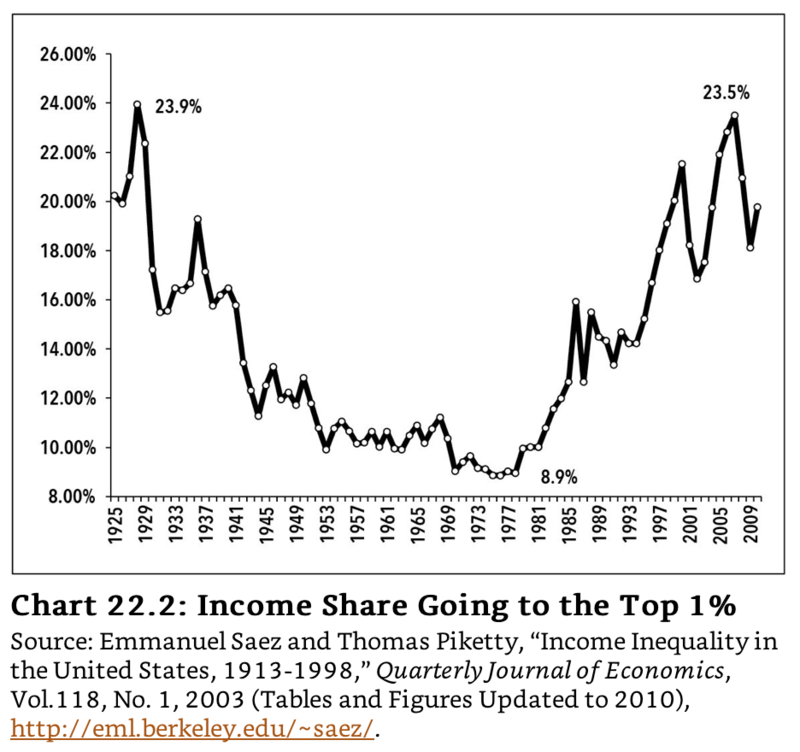 Runaway Inequality: An Activist’s Guide to Economic Justice (pp. 296-297). Labor Institute Press. Kindle Edition.